A team of Swiss researchers reported finding a method that prevents rejection of transplanted organs without lessening the immune system's ability to fight off infection by pathogenic microorganisms. The ability of the immune system to discriminate self from non-self is essential for eradicating microbial pathogens but is also responsible for rejection of transplants from a foreign donor. It is not known whether it is possible to selectively suppress this type of immune system rejection while maintaining a functional anti-pathogen defense. Image: A scanning electron micrograph (SEM) of engineered T-cells lacking coronin 1 (Photo courtesy of the University of Basel). In this regard, investigators at the University of Basel (Switzerland) have been looking for ways to prevent rejection while maintaining a potent antimicrobial defense system. 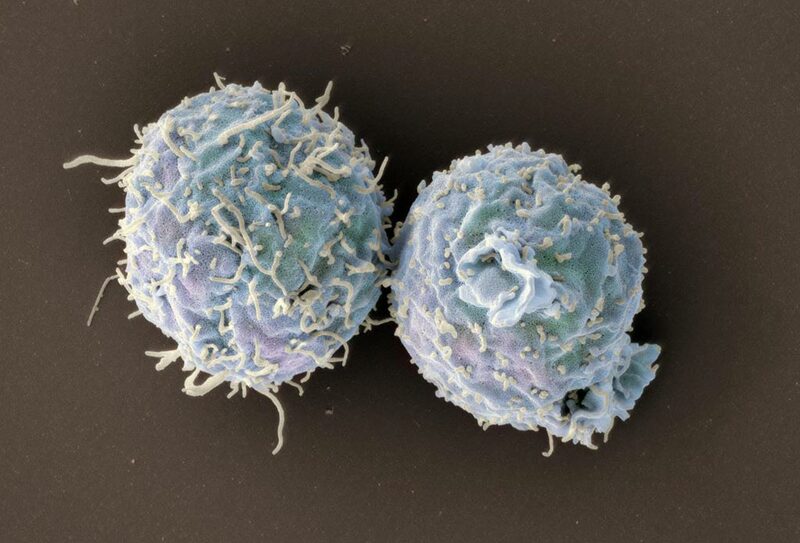 They reported in the January 15, 2019, online edition of the journal Immunity that mice deficient in the protein coronin 1, a regulator of naive T-cell homeostasis, fully retained foreign donor transplants while maintaining T-cell-specific responses against microbial pathogens. 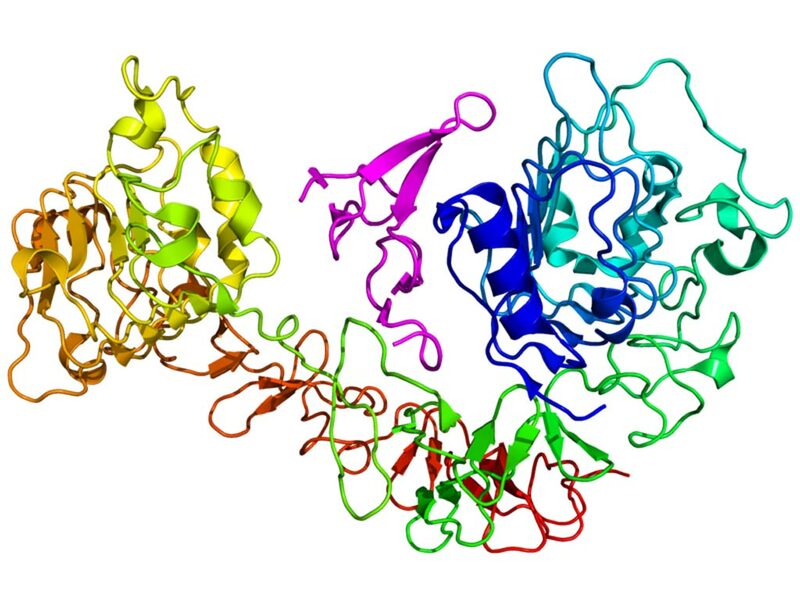 Coronin 1 is a member of the evolutionarily conserved coronin protein family, members of which are widely expressed across the eukaryotic kingdom. Mammals express seven coronin molecules, numbered from coronin 1 to 7. The different coronin proteins have a distinct tissue expression and have been reported to be involved in a wide array of cellular functions including calcium homeostasis, cytoskeletal dynamics, immune and inflammatory responses, neuromuscular transmission as well as cognition and behavior. Mechanistically, coronin 1-deficiency was found to increase cyclic adenosine monophosphate (cAMP) concentrations to suppress these specific T-cell responses. Thus, elevated cAMP prevented rejection of foreign donor transplants. Furthermore, a prior transfer of coronin 1-deficient T-cells was sufficient to induce the anti-rejection response. To maintain the immune system's antimicrobial defense, the investigators used co-stimulation on microbe-infected antigen presenting cells to overcome the cAMP-mediated immunosuppression and maintain anti-pathogen immunity. "By removing coronin 1, we observed that the T-cells not only massively suppressed the immune response to the transplanted organ but even actively prevented its rejection," said first author Dr. Rajesh Jayachandran, a visiting scientist at the University of Basel. "At the same time, we were astonished that coronin 1-depleted T-cells continue to fight infections."